As a small tour operator, arranging rail holidays around the world for over 40 years, it would be foolish to ignore the impact of the internet and the growing online holiday booking trends. Is there still a use for tour operators and travel agents in the modern age of the tourism industry? In this article published in Wanderlust Magazine Clive Stacey of Discover the World argues the case for booking a holiday with a specialist tour operator. Ffestiniog Travel will be launching an online booking facility on its website later this year, but we will carry on actively encouraging direct contact with our rail travel experts by telephone. Whether booking an escorted tour, planning a tailor made rail holiday or simply purchasing a ticket for a complex train journey, we expect to discuss the finer details of every transaction with our customers in advance of a purchase or booking. Clive Stacey states in his article that some tour operators are actually reporting the highest bookings of tailor-made holidays in decades and we at Ffestiniog Travel can concur with that statement as our Tailor Made service is busier than ever and accounts for 50% of our business. People still need the peace of mind of knowing every aspect of a holiday and what financial protection is in place before they book. Many can only do so if they have spoken to another human being and receive verbal assurances. 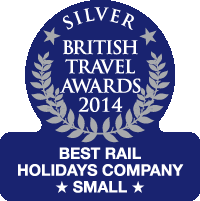 The increasing popularity of rail holidays generally has ensured our business remains healthy. We operate in a very competitive market, but as a specialist rail tour operator for over four decades, we have a long-standing, dedicated team of rail travel experts and tour leaders that produce an eclectic mix of escorted tours and design bespoke rail holidays according to customer wishes. The popularity of the BBC's Great Continental Railway Journeys (GCRJ) series prompted many enquiries about rail travel to Europe and we responded by producing a tour that mirrored each episode from all three series. 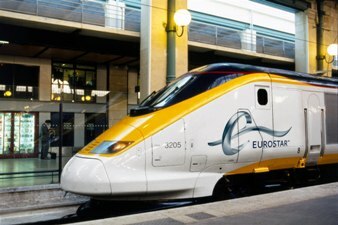 Eurostar celebrated its 20th anniversary last November - it opened up Europe to extensive rail travel from the UK. To mark the occasion Telegraph writer Nick Trend shared his experience and thoughts on Eurostar. It certainly revolutionised travel to France and the rest of the Continent and with it followed a plethora of online rail booking web companies, promoting a quick and cheap way to obtain rail tickets for travel around Europe. Despite these emerging online services there was still a place for Ffestiniog Travel's Ticket Only department. We are agents for the main ticketing and rail operators throughout Europe and in a position to secure the best deals and offer more routes than most other rail ticket retailers. With a dedicated website at www.myrailtrip.co.uk we showcase our expertise at providing advice on complicated rail journeys, finding the best routes and prices, unravelling the complex rail pass systems and reserving your seat on trains anywhere in Europe and beyond. If you don�t have the means or the time to spend on the internet researching a rail route simply pick up the phone and speak to one of our Ticket Only consultants without obligation. We regularly receive requests on how to get from the UK to various destinations around the world and by having the facilities to hand, spending time identifying the best rail routes, arranging accommodation according to budget and even organising sightseeing excursions en route, we prepare itineraries for tailor made rail holidays for consideration. Here is an example of a Europe-wide tour we did for a couple whose feedback was; �A first class, highly professional & extremely personal service, thanks Liz�. All rail tickets and itineraries are sent to your home before departure. There are lots of articles to inspire you to holiday by train, particularly popular among those nearing and enjoying retirement. 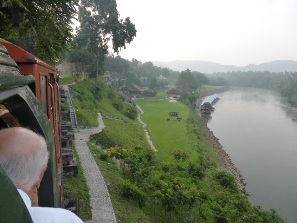 Age UK published suggestions on �Great train journeys of the world� on its website. 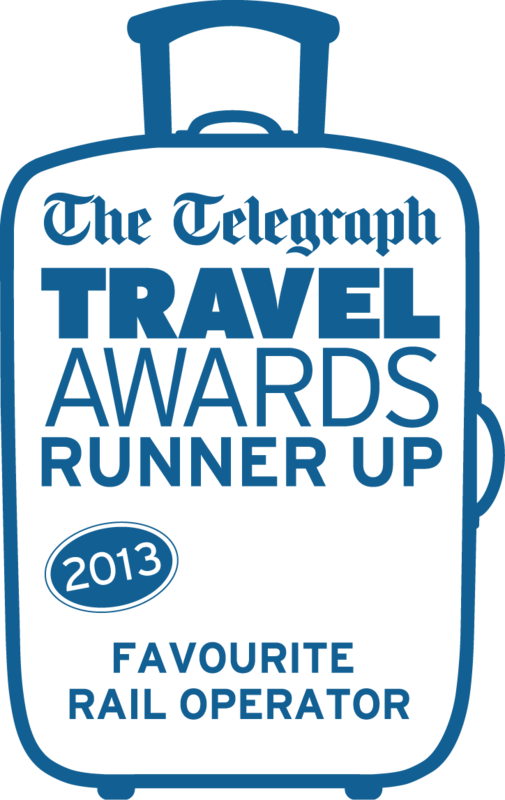 The Telegraph encourages and even rewards its readers if they share their reviews and tips on holidaying by rail. If you have a rail journey you�ve always wanted to take, but not sure how to go about it or need some reassurance before booking, feel free to call us on 01766 772030 to chat through the details.